Sorting out Twickenham Riverside. It’s like Brexit but harder. 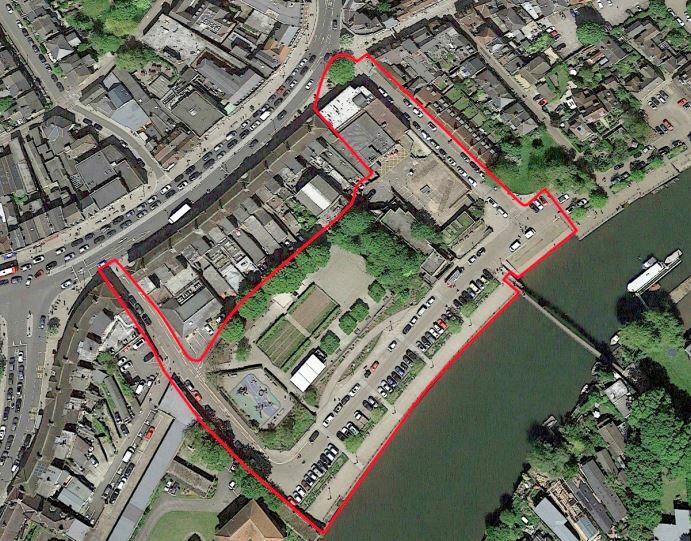 This week Richmond Council, in conjunction with the Royal Institute of British Architects (RIBA), has launched a competition for design ideas for ye olde riverside site. It’s all part of LBRuT (aka El Brute) re-starting the process to improve that piece of prime land right next to Father Thames in God’s Own Outer London Suburb. 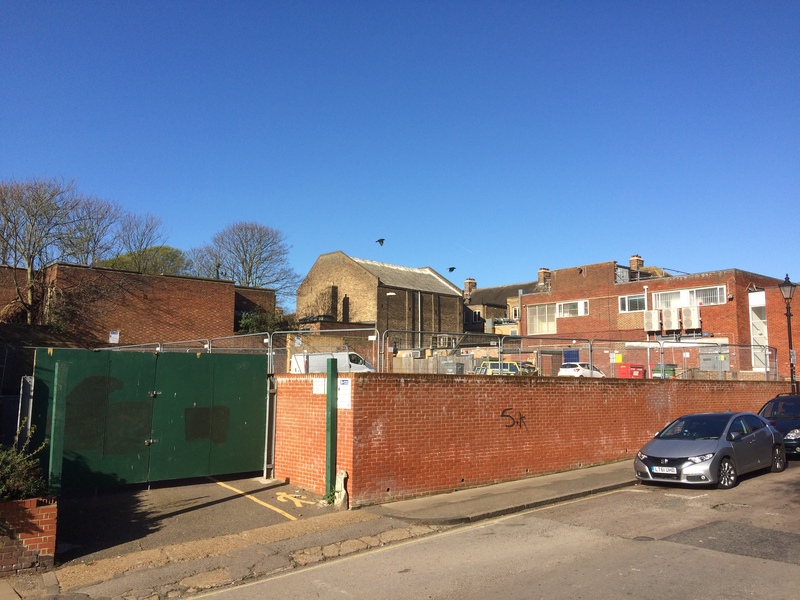 The RIBA competition is all about getting some inspirational and practical ideas to convert the site from a mish-mash of old buildings, unused spaces and land where priority is given to vehicles rather than people into something, well, better. Or as it says in the brief: “The design will allow the public to enjoy the full beauty and utility of the riverside, improving the physical link between the river and the town, to define Twickenham as a distinctive destination with a rich cultural history, and a great place to live, work and visit”. Jolly good. It also chucks in important words and phrases like, ‘appropriate’, ‘heritage’, and ‘stands the test of time’. Lovely stuff. In the opening blurb, Council Boss Man, Gareth ‘Red Robbo’ Roberts says it’s “a great opportunity to deliver real change through an exciting, energising and inspiring design”. We hope so. You hope so. The previous administration’s scheme was lacklustre to say the least, having been born out of a rather opaque ‘competition’ which then involved assorted architects taking over the baton and a lot of “Council computer says no”. You could almost see the blue plaque being unveiled: “Designed in Britain. By Committees”. The approach involving RIBA and defined stakeholder groups will make for a more structured and more transparent process. It should also lead to better proposals. Sure, there are going to be differences of opinion on many aspects of the scheme but at least we should be able to have a clearer process of decision making and consultation than on the previous, failed attempts. And yes, there will need to be some compromises. 100% support for any idea just ain’t gonna happen but if the end product is a scheme that most people can look at and say, “Yes, that’s actually a pretty good result” then it can be deemed a success. We’re told the key design features in any proposal must be high quality, appropriate, sustainable and reflect the riverside setting (in both the buildings and potential uses of the site). Wise words although, of course, subject to interpretation. Flood risk gets a clear mention too. Very wise words. Housing is listed as an ‘essential’ but with any housing being at least 50% affordable. The rest can be flats or ‘luxury apartments’ depending on your spin. Expect some commercial or retail too. 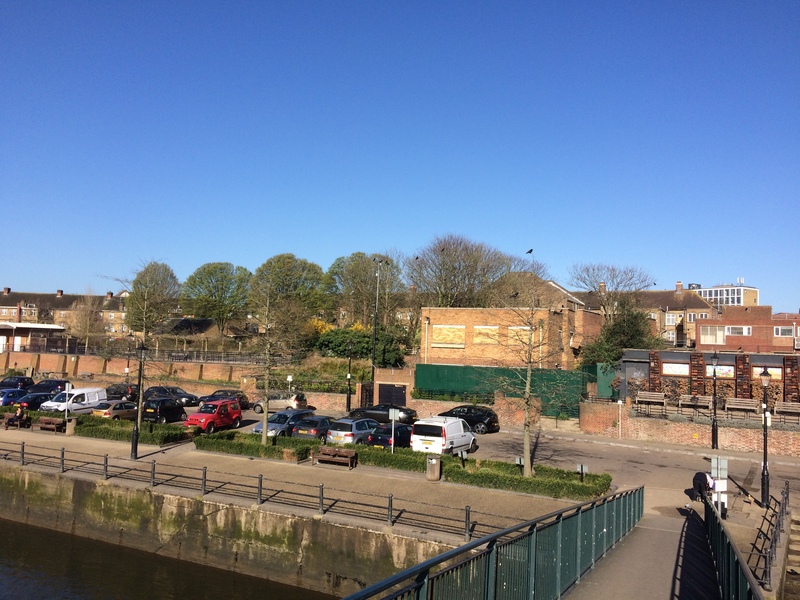 In terms of other hot topics, the brief refers to “removal of parking on the riverside” defined as Embankment between Wharf and Water Lanes whilst maintaining access to Eel Pie Island for services, business and residents. Information will be provided later in the process to inform proposals about re-provisioning parking elsewhere and vehicle circulation. The broad aim? An accessible, pedestrian and cycle friendly environment next to the river. Sounds good but clearing cars off Embankment will still be controversial for some in the immediate area. Muchos chit chat too on Twitter about a lido… or not. El Brute state that the intention has been to keep the brief as open as possible to encourage a range of designs and ideas. This would not preclude a lido, ice rink or even a gladiatorial arena if any of the entrants want to pitch for one. One thing that does get mentioned for inclusion in a mixed use scheme is a town square which can provide a focal point for events and activities. We hope it’s bigger than the one in the previous scheme which was a tad on the small side and separated from the open space of the Diamond Jubilee Gardens by a flipping great, big building. “And what of the DJG?” you cry. Well, in the last Richmond Council scheme it was left untouched but this time, more sensibly, it is included in the site parameters with the caveat that public space must be included in the new scheme which continues to meet the Riverside Trust’s objectives. In other words it’s imperative to have something similar or better within the new scheme but that does not have to mean the Gardens are left untouched in exactly the same format and place as they are now. Tick. In fact there’s a lot in the brief about open spaces, drawing people into the town, linking to the river heritage and generally making it a good place to be. Obvs, how these design proposals get judged and the objectivity of who’s judging them is key but overall the new design competition gives a clearer and better start to what we hope will be a much improved process compared to last time out. Closing date for entries is 7th May and shortlisted pitches will receive £6,500 for their troubles. El Brute expects about five schemes to make the shortlist and get through to the next, detailed design stage. Fancy having a pop at it yourself? Go on, you know you want to. Twickenham Riverside Park or on Twitter here. Is ( ‘at’ SaveTWriverside ) dead or got a new address?? or does it not accept / very slow with tweets?? We welcome your comments on our update. You can add them at the bottom in the Discussion section. Well done to ‘Red Robbo’ and the Design Panel for recognising that Twickenham Riverside should be a beautiful space for people, not cars. Our twin town Fontainebleu has submitted proposals to RIBA for the redevelopment of #TwickenhamRiverside. Thanks illiad for promoting my tweets 🤔, tho’ this one would have been better on twickerati’s April Fools Day piece. jon @illiad01 (1 follower, replies only). no prob, twickerman.. 🙂 😛 it was getting a bit boring in blog, so i posted a link, forgetting they are ‘expanded’ !! In response to Lionel: The public will not be choosing the winning architect. They will be shown five schemes from anonymous architects and will be able to comment on the plans but the final choice will be down to the Panel. This all looks so much more promising than taking out your mate for lunch and asking him for some nice butcher’s baronial plans that will make as much money as possible (no need to visit the site or understand the context or anything), then when everyone shouts “grandiose” getting him to change them to something a bit more Trumpton, then when everyone shouts “Trumpton”, and your mate takes his ball home, trying to inflict something out of the lowest filing cabinet of the most mediocre architect in retribution for the peasant’s failing to appreciate your greater wisdom and taste (and leaving wide open unmanaged the risk that the whole thing will become a massive money pit, with costs diluting the quality ever further and Twickenham landed with an ugly thing on its riverside evermore) . Hopefully…..
Twickerati does not mention that the Council has given a construction cost of £25 – 35 million, that can be increased if “compelling justification can be given as to why”. This is on top of what has already been spent, and there are bound to be other costs as well. Worth keeping an eye on the spending. It’s true that costs always need to be monitored closely on big projects. I’m unsure why you highlight the money is “on top of what has already been spent” though. There was always going to be a capital cost involved in any scheme – builders don’t work for free. That’s true of this, but would be equally true had the last administration’s plan got past the drawing board – they’d still have needed to build the thing. The only approach with no construction cost is leaving it just as it is! There’s also nothing wrong with capital investment… so long as what you get in the end is worth it over the many decades it’ll be there. Public authorities are in the odd position just now that capital investment is very attractive due to extremely low long term interest rates, but at the same time current budgets are under huge pressure. It’s like having a fantastic mortgage deal but no money for butter. The build cost quoted is comparable to the last lot’s scheme, though this time it’s for a much larger site with the inclusion of DJG, The Embankment, Water & Wharf Lanes and the landing stage. This cost will, of course, be offset by revenue from the sale and lease of residential, commercial and other property. So the net cost to the Council should be reasonably low. y mucho menos coches (autos). It should be ‘mucho chitchat’. (chitchat is essentially singular – muchos chit chats). However chitchat = la cháchara. So if we follow the gender – mucha cháchara or mucha chitchat, but that is debatable. Anyone who subscribes to our free weekly local digital newspaper http://www.twickenhamtribune.com can see that Berkley Driscoll has already drawn up a 3 dimensional plan which takes in everything that everyone seems to be in favour of. He has done the work, why not simply build to his idea and design. There is nothing in it you won’t like and lots of elements that you will like. Lets just get on with it! A drawing – however nice – isn’t really a proposal, Alan. There do need to be costings, detailed consideration of traffic flow, of flood risk, of planning requirements, of construction materials… the list goes on. The obvious answer is surely for Berkley to approach a good architect, work his idea into a firm proposal, and get it in the competition. The Tribune often say how much support their ideas have – so why don’t they simply run a little crowdfunder, plus the £6,500 fee Twickerati mentioned, and take part? Also, one of the issues is that past Councils haven’t had proper, open competitions where people can compare a range of ideas – they’ve just plumped for something they (or more specifically Lord True) liked the look of (for unfathomable reasons). Your suggestion seems to be that they bypass a real competition again, principally because it’s you rather than Lord True who likes the look of a drawing this time. In fairness, “Red Robbo” seems to have refrained from imposing his personal taste on this (and looking at some of his shirts, I think we can all be grateful for that). It looks like a genuine effort to get a variety of properly thought-through proposals (including Berkley’s worked up version if he wants to get involved) on the table for us all to pick apart here and elsewhere. Thanks Lionel. I agree with everything you say. I was simply drawing attention to a well thought out plan that seems to tick all of the boxes that residents have put on their wish list for the site. To clarify the ‘honorarium payment of £6,500 +vat’ will only be paid to the 5ish teams that are shortlisted for, and complete, the design tender phase. Otherwise Architects Anonymouse Inc would be rustling up a sketchup or autocad design. Seems a sensible way forward…which has taken around 30 years and counting…. This looks promising, it allows for a holistic approach to the site and the banishment of cars from the riverbank.